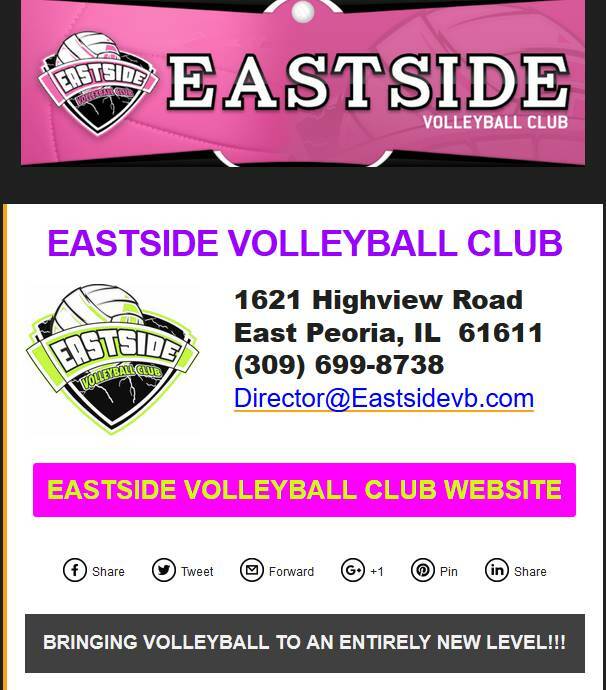 Eastside VBC is making unprecedented strides this year to take Volleyball in Central Illinois to a much higher level. The make-up assessments and the continuation of our team building will be November 19th at the River Plex at 11 AM. As we wrap up our assessments with the make-up we will be bringing in the rest of our participants for a 12:30-3:30 PM session of game play. 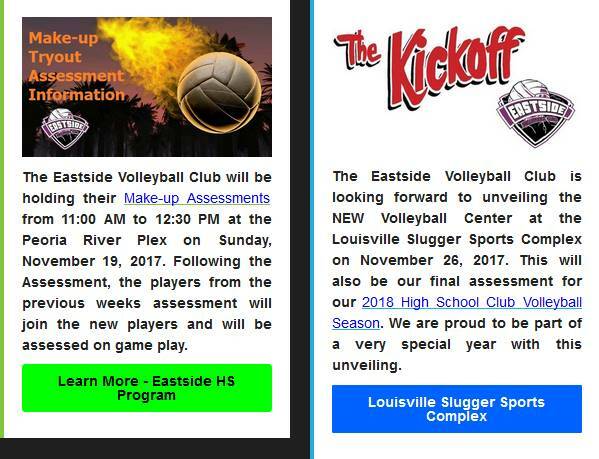 Finally, we are extremely pleased to be part of something very special as we help unveil the new Volleyball Center in the Dome at the Louisville Slugger Sports Complex on November 26th with our Kick-Off of committed athletes. The new Volleyball Center will feature 6 practice courts and 4 competition courts. The Kick-Off event is just the start of a 2018 campaign that will prove to be arguably our most exciting year.